As marketers, we constantly feel the pressure from our stakeholders, bosses, maybe even managers, to be creative. Not too creative to the point that your idea will get shut down, but creative enough that you are different (and better) than your competition. It sometimes can feel like they are asking you to mix oil and water. Oh and don’t forget, your creative strategy has to work. To the point that you are confident in what you’re doing, you can prove the ROI, and figure out how to plan and execute the entire strategy. In this post you’ll learn everything you need to know about creative strategies, from how-to-write one, to successful, real-life examples that you can implement in your own workplace. Let’s get started! You know creative strategies are important, probably because you were asked to make one, but you might not understand why they are important. Creative strategies assist the company in reaching marketing goals, prove their ROI, and support business growth through a strategic and well-executed approach. Basically, your creative strategy is what, how, and why, you’re going to reach your marketing goals and business objectives. How To Write The Best #Creative Strategy with @CoSchedule. Writing an entire creative strategy can be pretty intimidating, but don’t worry. I’ve broken it down step-by-step so it seems a little less daunting (hopefully). S.M.A.R.T. stands for specific, measurable, aspirational, realistic, and time-bound. It’s important that you know which metrics to measure when assessing your goal. In reality, you can’t prioritize every metric, because that would mean that all of your metrics have the same importance (and they shouldn’t be). Tying KPIs into our other example, the main metric that you would want to focus on is conversions. Make sense? Pick a KPI or two that goes hand in hand with your goal and then focus on them. You’ll be surprised how much focusing in on a specific metric can help you reach your goal! Now that you’ve set your marketing goals, it’s time to find out who you’re marketing to. Define the ideal person that you want to buy your product or service. The better you know your target audience, the better you can market to them. Understand their needs and wants helps you get inside their minds to create a creative strategy that connects to them. Now you’re probably thinking, how can I apply what I know about my target audience to my creative strategy? Well… Here’s a quick example. But, if you write content that can help your target audience solve real-life problems… well, you get the point. There’s your creative strategy. 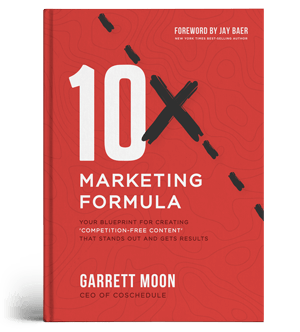 It’s one and it’s based on attracting your target audience through content that helps them solve their problems. This step is as simple as it sounds. Answer this: What benefit(s) does my target audience get from my product or service? If you don’t know the direct benefits, there’s no way your audience will understand the benefits. What does my target audience gain from it? What does my target audience gain from my product or service? What problem does my product solve? All the benefits you just listed are awesome, but they aren’t going to believe you unless they are backed up with some facts. Support your benefits so that people actually believe you. There are a number of different ways you can support your benefit in your creative strategy. Customer testimonials are a great way to show that real people have used your product or service and prove it works! To get customer testimonials, you can directly ask customers or even use reviews that you get. The stat deems you credible and persuades your audience to believe you. Using facts in a creative strategy is very similar to adding a statistic. You see facts in creative strategies all of the time. “Recommended number one whitening toothpaste among dentists.” It’s a fact and it makes people trust the product. We’ve all seen those OxiClean commercials… Must I say anymore? Brand positioning strategy is a large project in itself. When you consider positioning in your creative strategy, make sure it aligns with your brand. The worst thing is when companies aren’t true to themselves. The deliverables of your project are going to be any tangible or intangible actions or tasks that direct the promotion of your product or service. Your deliverables are going to be based solely on the type of creative strategy that you are implementing. For example, a creative content strategy is going to look a lot different than a creative social media strategy. Who needs to be involved in this project? What tactics need to be implemented to reach our goal? What does the timeline look like to complete this project? 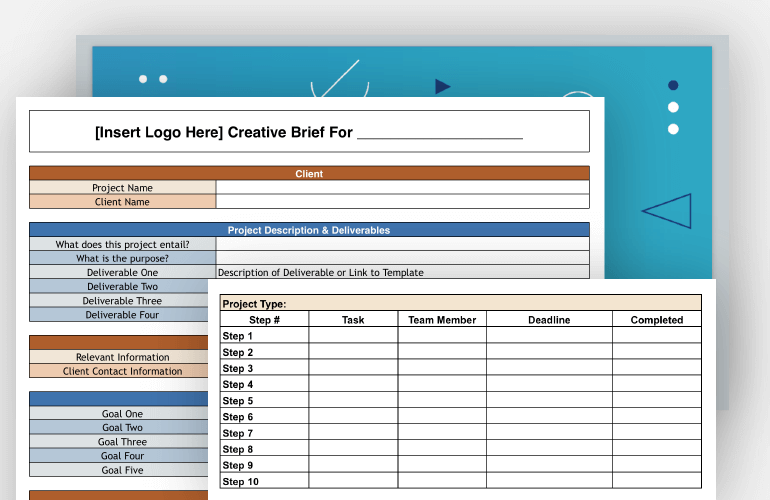 You can save a ton of time on your project by using a template that has your entire project laid out with the click of a button. 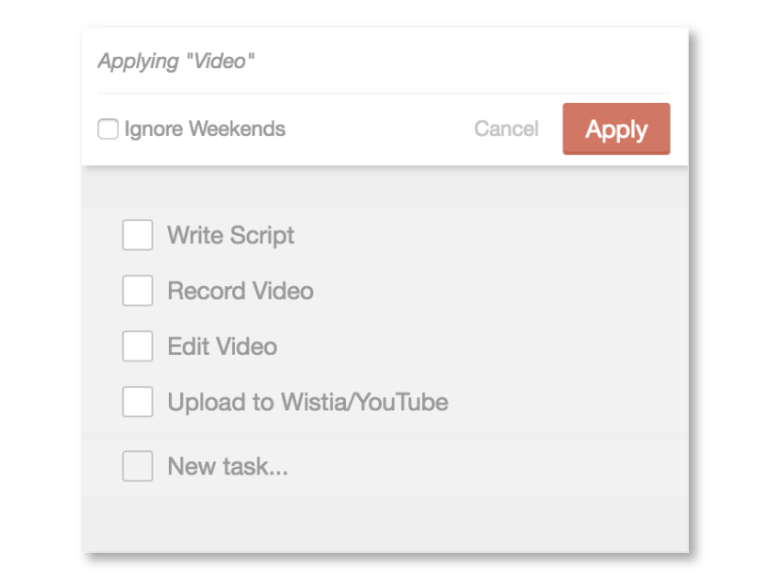 First, you’ll want to create a task for every item that needs to be created before the project goes live. Next you’ll want to add the due dates of your project. Maybe you want to give it two months, or two weeks, either way you’ll be able to schedule the appropriate days in the task template. All you have to do is select the number of days before publish that each task should get done. Finally, assign the tasks and set approvals to make sure everyone knows what their role is within the project. CoSchedule’s task template will save you a ton of time on implementing your creative strategies throughout the entire year. One thing that ticks off stakeholders more than a bad creative strategy is when that creative strategy goes over budget. But don’t worry, here’s all you need to know so that you don’t go over budget to fulfill your tactics! The biggest thing with budgeting is to make sure you keep an eye on the money and the tactics so that going over budget never becomes an issue. When being creative and doing this “out of the box,” sometimes we can forget about certain guidelines that our companies have. This step won’t apply to every marketing team. Most likely, if you are part of a larger corporation you will need to include it. This step ensures that your strategy follows any necessary guidelines so that your stakeholders don’t have to hand it right back to you. You’re probably thinking okay great, I know how to write one, but that doesn’t help me think of creative concepts. If you want to see some successful IRL examples of creative strategies, keep on scrollin’. Getting asked to be creative is worse than the dawn of the blinking cursor. But good news, you wouldn’t be asked to come up with a creative strategy if you weren’t capable of it. It would take days to cover every type of creative strategy, so this blog post will cover the most prevalent topics with some killer examples. Nowadays everyone is doing content marketing. Well not everyone, but 53% of businesses use content marketing and that is a lot of companies to compete against. 53% of businesses use content marketing. Use a creative strategy to make yours stand out! If you want to stand out from the rest of the companies, it’s your job to be more creative than them. Instead of using the traditional blogging method, here are a few out-of-the-box ideas to take your content marketing to the next level. Make your content useful. You’re probably thinking, I already do this. Chances are that you don’t as much as you could. Use emotion. There’s nothing worse than reading a bone dry article. If it’s boring to write, chances are it’s just as boring to read. Make your consumers feel something when they read your content. Whether it’s humor, excitement, or happiness, adding some type of emotion will help your audience remember you. 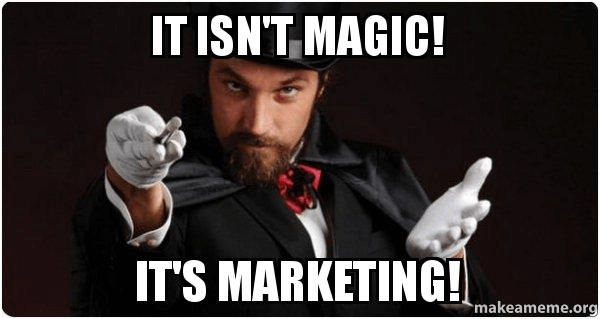 If you aren’t promoting the content that you are writing, people aren’t going to see it. In fact, you can use this little method to boost your social media traffic to your content by 192%. Be the expert. Before you write content for your next campaign, I challenge you to do double the research that you normally do. Make it your goal to have the most educational article that you possibly can. If you do this, people will be more likely to use your content as a reference than the other leading competitors. Your headline is just as important as the copy underneath it. 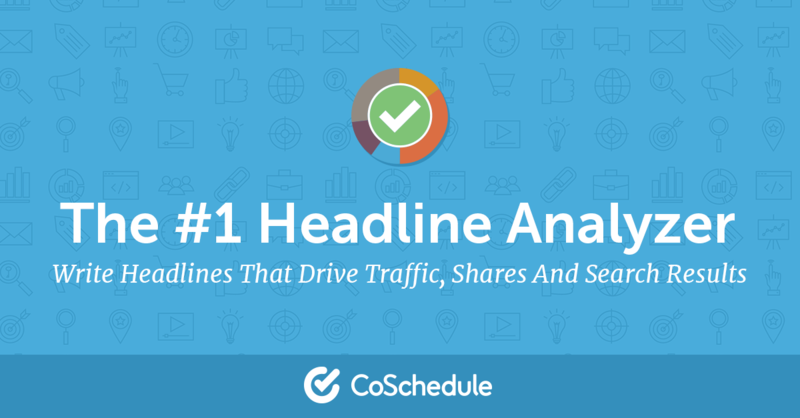 Make sure you are spending the time on your headline that it deserves. Make it catchy, enticing, and creative. If you need some help judging whether your headline will do the trick, try using the Headline Analyzer. A company that slays the content marketing game is Sephora. 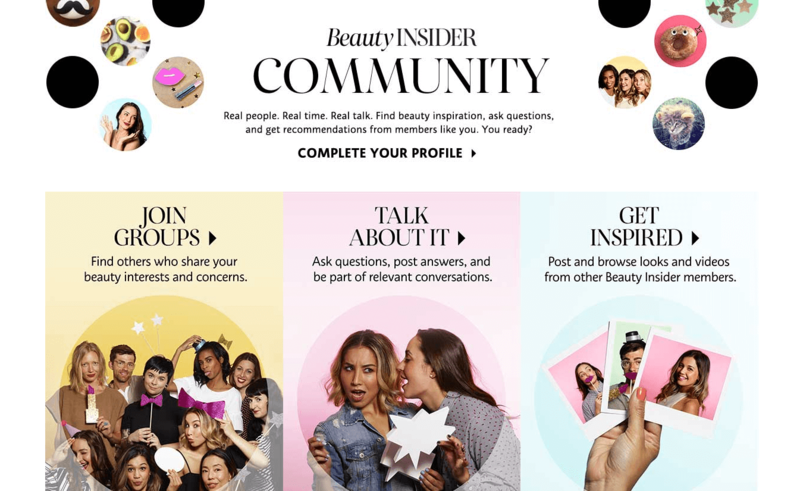 Instead of a traditional blog, they created a content hub for their customers to share beauty tips and product knowledge. It’s genius. Not only is it a useful resource for customers to go, but it drives them to their ultimate goal of selling product. How can you creatively implement #contentmarketing in your strategy? To succeed in a creative social media strategy, you either have to put money behind it or stand out from the crowd. It’s no easy task to be different than the rest, but it is possible. These are some of the most common qualities that successful, creative social media strategies had (and all can been done without spending a dime). You may think that this strategy is obvious, but you’d be surprised how many companies decide to focus on only one channel for their social media. Just because you have the most followers on one channel versus another, it doesn't mean you should be stagnant on your other channels. The scary thing about social media is that we have no idea which channels will stay around and which will disappear, like Google+. Sharing your content on many social media channels gets you in front of more customers and prospects. After you’ve launched your social media campaign you’re done, right? Wrong. The most successful social media campaigns make sure to engage with their audience after their campaigns have launched. 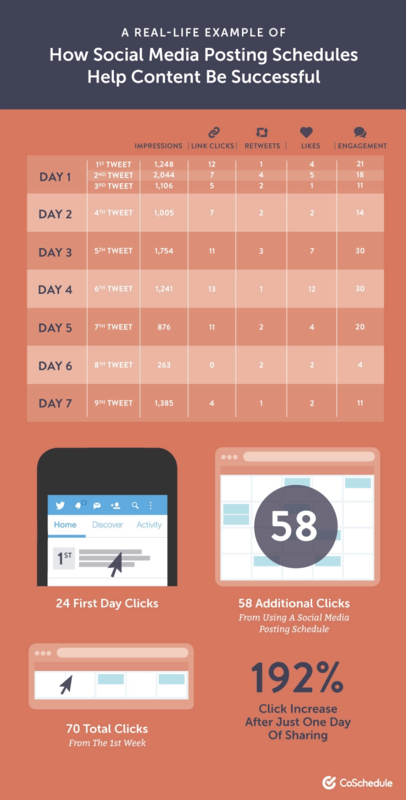 Social Media Marketers are all told to use hashtags, but do we really know why? Using hashtags is an easy way to get in front of a broader audience. Toms is the perfect example of a company that used a hashtag correctly. In 2015 they engaged 3.5 million people in one day using the hashtag #WithoutShoes. It’s okay if you aren’t able to make that big of a splash using hashtags, but now you can see how big of an impact a simple hashtag can have on your marketing campaign. You can’t say that memes aren’t funny, it just wouldn’t be right. Just like you, consumers enjoy memes because they are funny, relatable, and easily consumable. Using a meme is a great way to make a consumer stop, laugh, and most importantly, notice you. If they find your brand funny and relatable, they will be more likely to follow you, engage with you, and use your product or service. 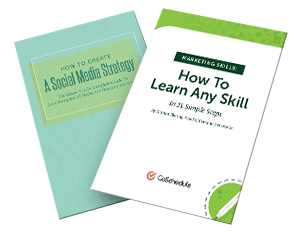 There are so many other tactics that you could add to your creative social media strategy, but make sure you are using tactics that make sense to reach your target audience. Make sure not to venture too far from brand standards when you have your creative cap on! If you’re looking for a company that slays social media, follow Wendy’s. 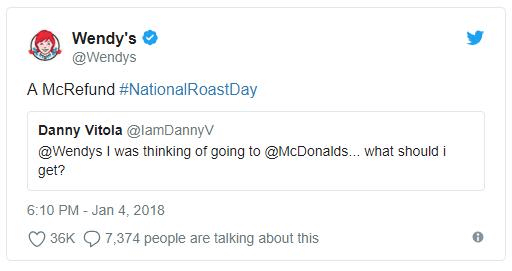 Their sassy replies and savage Tweets is how this company rose to the top with their social media. I’m not saying to go out and bash your competitors and I’m definitely not saying to try and be Wendy’s. What I am saying is this: Social media is a tough game these days. Do your best to stand out from the crowd and if what you’re doing isn’t working, try something else! If you’re looking for some more inspiring creative examples, read this. Your brand strategy is probably different than your typical creative strategy, but it doesn’t mean you can’t use elements from both. Brand strategy aims at positioning your company, while a creative strategy helps you reach your marketing goals. Make sense? Maybe the goal of your creative strategy is to create brand awareness. Either way, there are tons of ways you can creatively drive brand awareness. 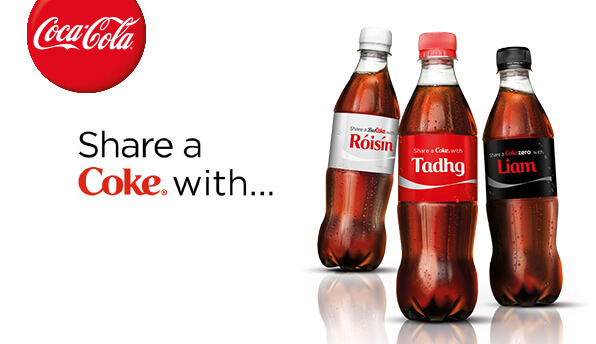 Why is this creative brand strategy so successful? When implementing your brand strategy, think of ways to implement a creative aspect into it so that you can stand out from your competitors. Video Marketing is going to the be hot topic of 2019. If you haven’t hopped on the video marketing train, it’s time to think about it! So, we all know that we should be using video marketing, but how? 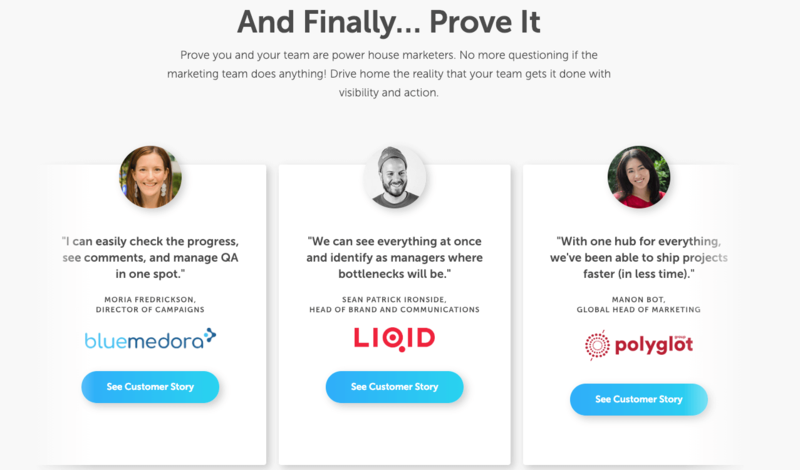 Slack rolled out a customer success video a few years ago to highlight their product, and it worked. Whichever method you choose, remember that you don’t have to break the bank. If you have a video camera, some knowledge, and a little bit of creativity, you’ll be in luck. You’re probably thinking, oh gosh. Pay Per Click strategies are so dry, and you’re not wrong. Just because they are short, concise, and bland, doesn’t mean there isn’t room to add some creativity. By thinking out of the box, Snickers reached 50,000 people in just three days. Crazy right? 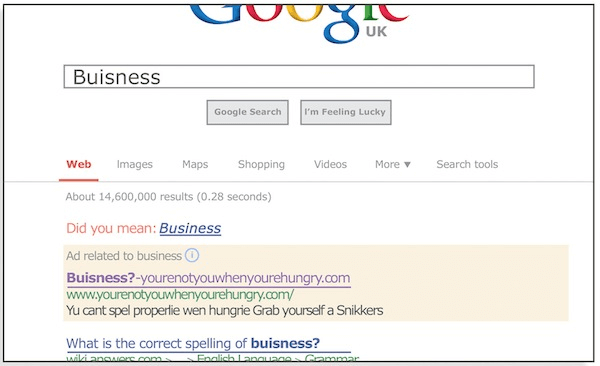 They decided to go against the grain on this PPC campaign and target misspelled words. Just because something has been done a certain way for so long, doesn’t mean it should be! There’s room to be creative, even with a short and concise tactic. Email strategy can be complicated because it really depends on your target audience and the tone of your company. It doesn’t mean that there isn’t room to be creative and switch things up. You should always base your emails on what works best for your company, but here are a few ideas that may spark your creativity cap. Call to action. You are probably (hopefully) adding CTAs in your emails, but maybe you’ve been sticking to the same one and maybe it’s not really even working. Think about switching up your CTAs! Design. While you’ll always want to stay on brand with your design, it’s time to start think about using a new template or color palette. If people can’t tell the difference between your emails, something is wrong. Subject line. In a subject line, there is no room for boring copy. This is the one thing that makes people open your emails and maybe actually read them. Add humor, a sense of urgency, or something to make them open your email! Personalization. With the number of emails that people receive every day, it’s time to think about making yours stand out from the rest. This can be as simple as adding their name, to sending a birthday email, to making the copy of your email relate directly to them. 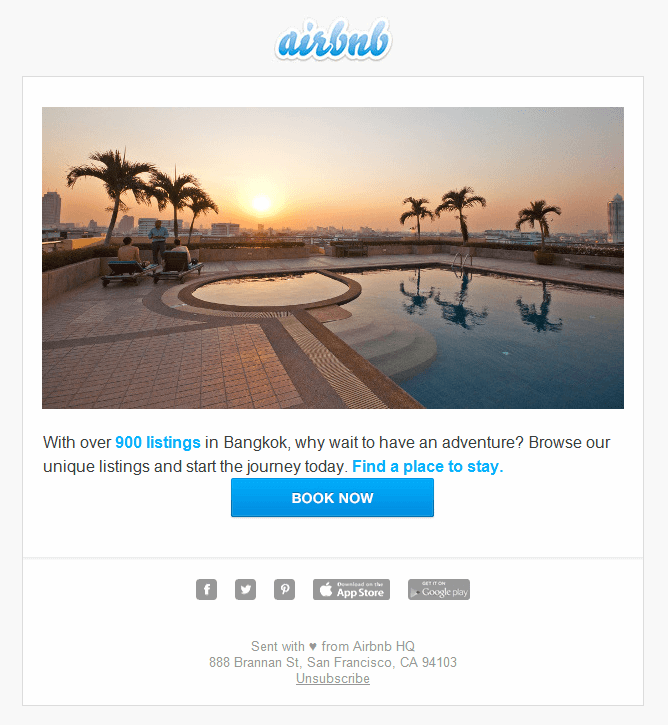 A company that relies heavily on email marketing is Airbnb. They rely so heavily on it because they found a creative strategy that works for them. Airbnb keeps their emails very simple, yet effective. They’ve found that if they make people fantasize about a possible trip through email, it actually works. Sometimes simplicity is best! While you probably aren’t in the same industry as they are, it’s important that you focus on what works for your target audience and think about switching up your strategy. Hopefully, you’ve got what you need to go and rock your creative strategy. Put your creative cap on, download these templates, and get to work! If you need help organizing and saving time with your creative strategy workflow, schedule a demo with a CoSchedule expert.